It's been a long time... again. Aaaaarrrrgh (shakes fists in air)! We've had a lot going on and I wish I would have kept up. Maybe I'll go back and do a couple updates on the last few months later. But I'm back now and hope to keep up. We'll see. Brady started Kindergarten! 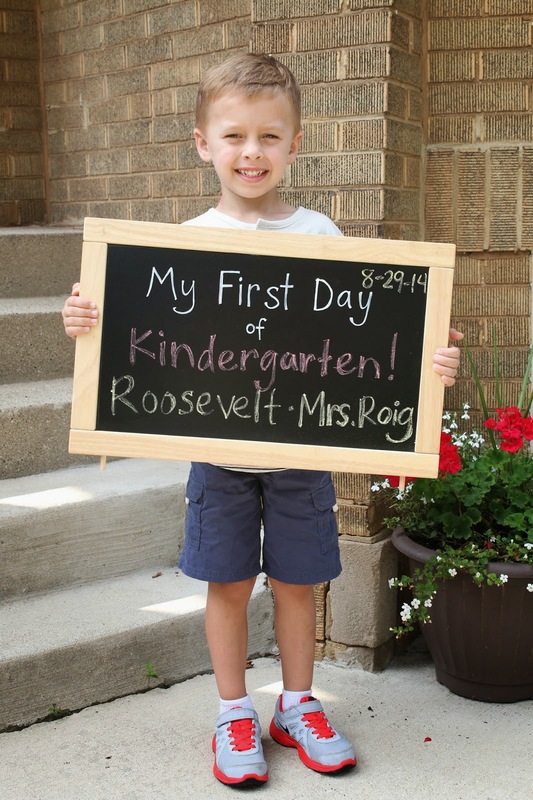 He is going to the same elementary school that his Daddy went to and they are both thrilled about it. I'm just happy that it's in walking distance to our house, well, until the snow comes! 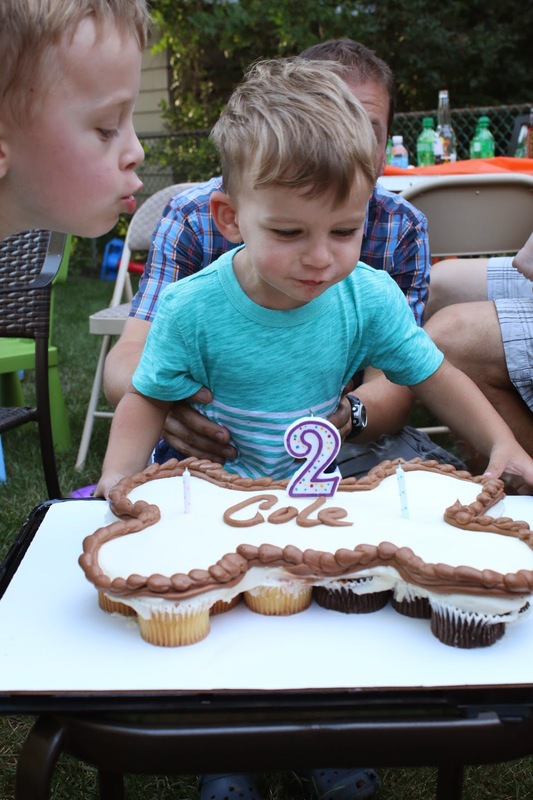 We waited to have Cole's 2nd birthday party after we settled into our home, so we could celebrate with family. He was so happy to have his aunts, uncles, cousins and grandparents there! 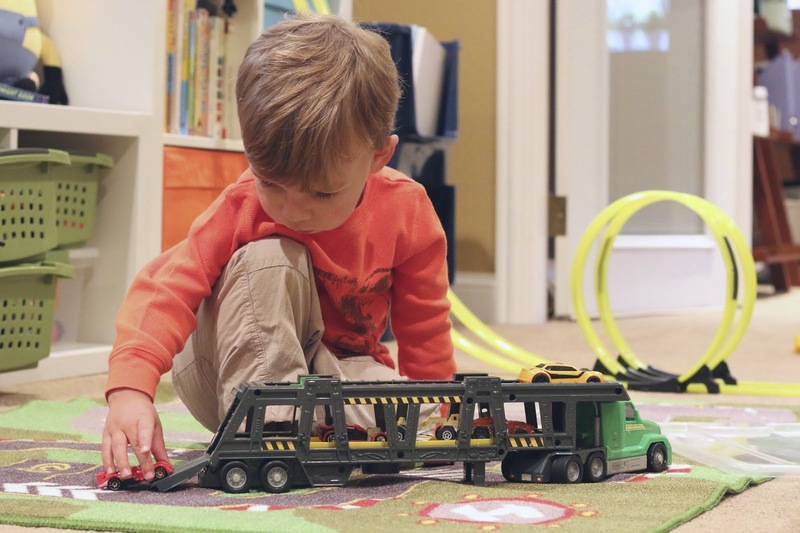 Hanging with a bunch of friends (and all their little boys!) Watch out world, Cole learned how to cheese it up for the camera.